A root canal can prevent the development of a painful infection in the pulp that may spread to other teeth. This treatment can also treat an infection that has developed into an abscessed tooth. Root canal therapy can relieve toothaches, stop infection, and promote healing. The dental pulp is the soft center of the tooth that is removed during a root canal. The pulp contains the blood supply, connective tissues, and nerve network of the tooth. When the pulp becomes damaged, it can lead to tooth loss or serious infection, so it must be removed promptly. Most patients find that root canal therapy is similar to a standard tooth filling. The pain and discomfort that can result from a pulp infection is far worse than the discomfort of a root canal. Your procedure doesn’t have to be painful, thanks to modern technology, local anesthesia, and dental sedation options at Harris Family Dentistry. Here at Harris Family Dentistry, we make your root canal a personalized and pleasant process. 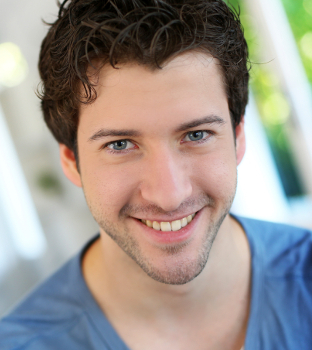 Before your root canal, Dr. Harris will administer a localized numbing shot to ensure a comfortable procedure. Your doctor will remove the diseased pulp through a small opening in the crown of the tooth. The inside of the tooth will be thoroughly cleaned and filled. After the area has healed, you will return for a filling or dental crown. Will a Root Canal Work for Me? The best way to find out if root canal therapy is right for you is by scheduling a consultation with Dr. Craig or Wendy Harris. If your doctor decides that a root canal treatment would be effective for you, you can plan for success. The success rate of most root canal treatments is over 95%, so you can prepare for a painless and healthy future. Call us today to schedule your check-up, consultation, or treatment.